I love working with kids. Dentistry for kids is fun. 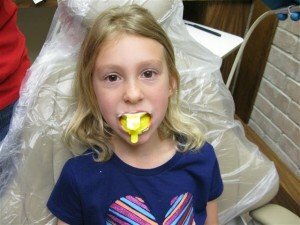 It is my goal to make every kid comfortable in my dental office. Coming to the dentist can be overwhelming and scary. When your child visits our practice we go over the top to make them feel comfortable. 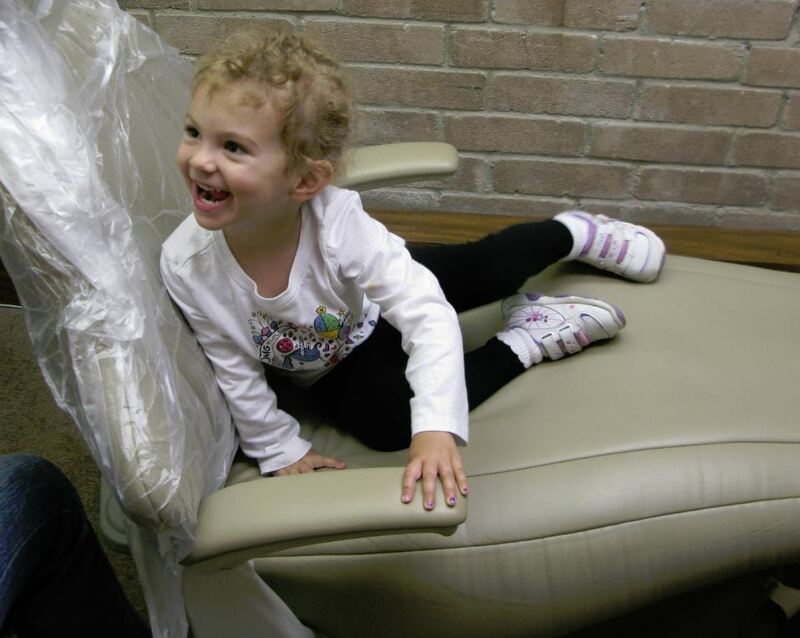 By creating a fun environment your child will like coming to the dentist. My daughters love coming to the office. They come with me on the weekends when I am doing paperwork. They know how to make the chairs go up and down. This past Good Friday we came up to the office so Danette could clean Emily and Katherine’s teeth. School was out, so what do we do…Go to the Dentist!!! Here is a great strategy I encourage parents to use. 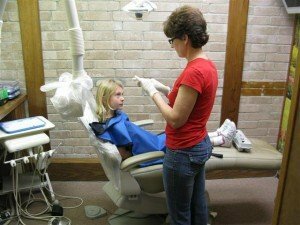 Have your small child watch an older sibling or their parents get their teeth cleaned. Katherine has not had her teeth cleaned in the office yet. Katherine is watching Big Sister Emily get her teeth cleaned. Danette’s daughter was a super big helper. She played with Katherine while I did office paperwork. Katherine was ready to get her teeth cleaned. After Emily’s cleaning I did Sealants and Fluoride. Sealants are a great way to protect teeth from decay. A sealant is a preventative procedure that “seals” all the grooves in the back tooth. A flowable filling material is placed into the grooves. This eliminates areas that bacteria can hide. Fluoride is great because it helps to strengthen teeth. The teeth are stronger and more resistant to cavities. 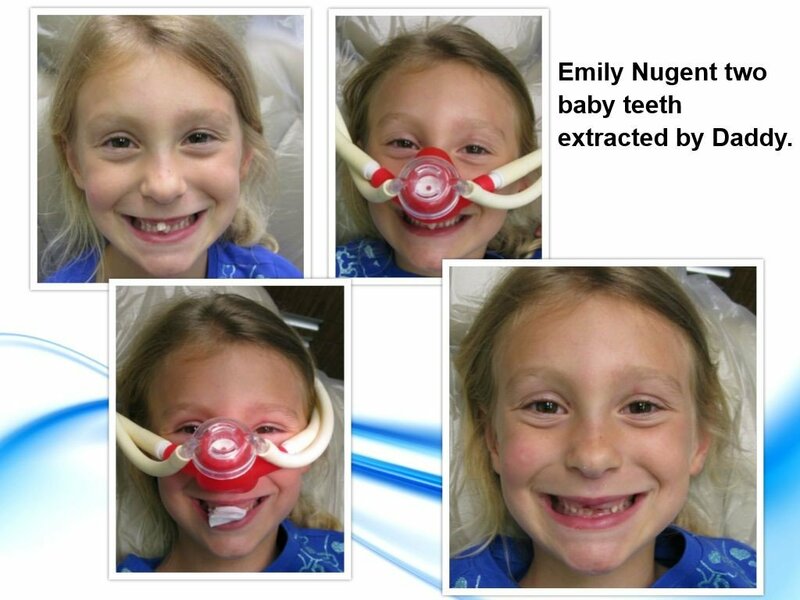 Emily with her fluoride tray. I love dentistry and I love being my daughters’ dentist. 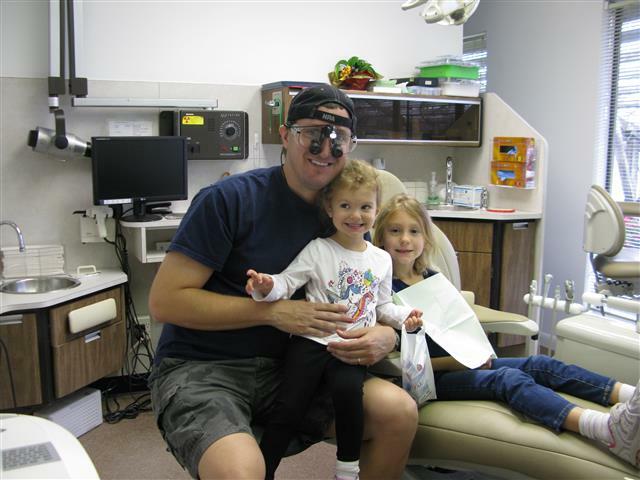 About Dr. Nugent: Dr. Nugent is a General Dentist who practices in Pasadena, Texas. He focuses on Cosmetic, Family, Implant and Sedation Dentistry. Patients from Pasadena, Deer Park, La Porte, League City, Friendswood and Webster. Experience dentistry that is focuses on you and your family. Visit out office at 3421 Burke Rd Ste A, Pasadena Texas 77504.